States increasingly employ non-wires alternatives to tease out where distributed energy offers a better deal than traditional utility infrastructure – wires, poles, substations. But in Connecticut the idea is running into controversy. Utilities in the state say it’s too soon to press ahead with non-wires alternatives, while the state consumer watchdog wants to pick up the pace. 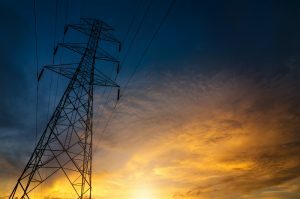 The issue is under debate in a grid modernization proceeding before the Connecticut Public Utilities Regulatory Authority (PURA). The regulatory agency opened the investigation about a year ago to explore, among other things, how to better integrated distributed energy resources (DERS) into utility planning (Docket No. 17-12-03). In some states, such as neighboring New York, utilities must identify opportunities for non-wires alternatives and then seek bids from competitive companies. Developers of microgrids, solar, energy storage and other DERs gain an inroad to capture business usually confined to utilities. But Connecticut’s investor-owned utilities, Eversource and United illuminating (UI), recently asked regulators to hold off on creating such requirements. Eversource said that although the cost of non-wires alternatives is dropping, the technologies remain too expensive. UI has implemented some non-wires alternatives — including energy efficiency, demand response and energy storage. The utility said at times they prove more reliabile and less costly than traditional investments. But UI sees limited opportunity for them in the near term given the flattening of electricity demand. So it recommended that Connecticut stick to demonstration projects and pilots for now. The Office of Consumer Counsel disagrees, saying utilities should include cost-effective non-wires alternatives in capital business plans and create opportunity for third-parties to compete to provide them. The consumer counsel wants regulators to create an oversight committee to enhance transparency and monitor advancements in the technologies. Utilities, ratepayers, and independent companies “would all benefit from an open process, particularly in identifying actual costs, and both quantifiable and qualitative benefits,” the consumer counsel wrote in a brief filed before state regulators. The state Bureau of Energy and Technology Policy (BETP) also pushed for more use of non-wires alternatives. The state energy policy agency noted that non-wires alternatives can delay or offset the need for costly infrastructure upgrades. BETP pointed to the Brooklyn Queens Demand Management Program in New York as an example. Consolidated Edison used solar, fuel cells and other distributed energy resources to delay over $1 billion in traditional investments. BETP disagreed with the argument to hold off on non-wires alternatives because of flat electricity demand, saying it’s likely to grow over the next decade. At the same time, the cost of non-wires alternatives is likely to fall. Neighboring New York and Rhode Island have a competitive process in place for non-wires alternatives; Connecticut should do the same and consider them on a “a cost-competitive, fair, transparent basis,” BETP said. Reply briefs are due December 7. Track the proceeding, Docket 17-12-03 here. 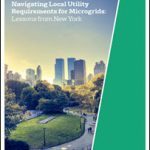 Read more news about grid modernization by subscribing to the free Microgrid Knowledge newsletter. Looks like Mr. Tesla has returned to my home state where I grew up — Connecticut !!!! last 4 decades — but with fires all over the State, alot needs to be along these lines.